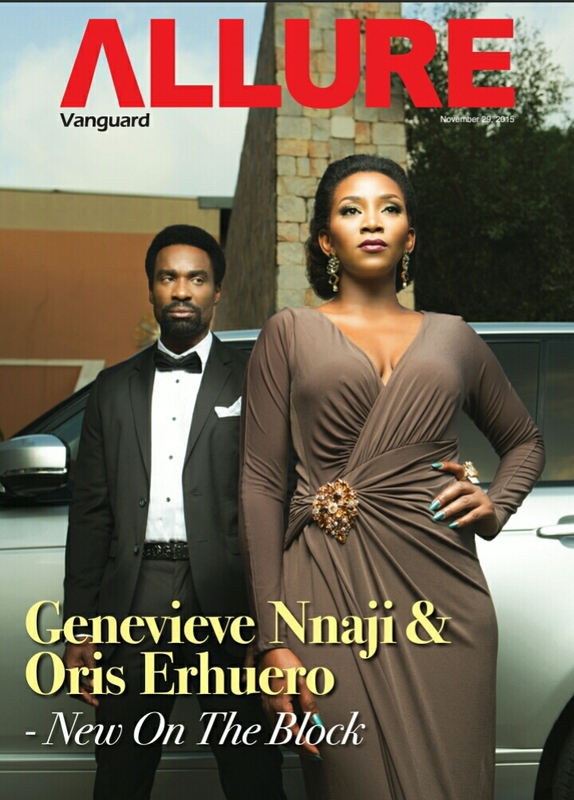 Nollywood actress Genevieve Nnaji is on the cover of the latest issue of Vanguard Allure alongside British-Nigerian actor Oris Erhuero. The two stars are in Ishaya Bako’s movie “Road to Yesterday”. Genevieve Nnaji speaks candidly about her childhood, closing AFRIFF 2015; working with talented director, Ishaya Bako; creating artistry; staying relevant in Nollywood and playing a Super Hero! The interview also introduces Nigeria to the movie’s co-lead, a well-travelled thespian and self-proclaimed “citizen of the world, emboldened by strong roots” Oris Erhuero.